Random And Some: "I never found the companion that was so companiable as solitude"
"I never found the companion that was so companiable as solitude"
During my Summer holiday in Turkey, I caught up on some reading (check here and here). 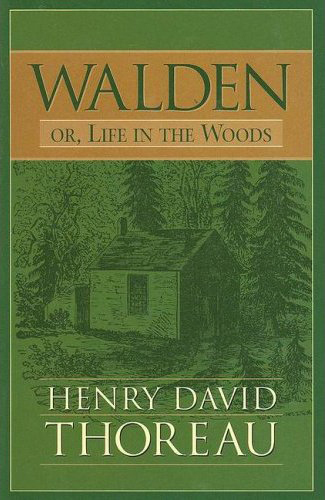 A third book I read was Walden; or, Life in the Woods, an autobiography by abolitionist Henry David Thoreau. Walden, which was published in 1854, is a manifesto for simple living and an argument for civil disobedience. Walden chronicles the two years that Thoreau spent at Walden Pond in search of an objective understanding of society by means of living a simple life in the woods. Via specific chapters - Economy, Reading, Sounds, Visitors, Spring etc. - Thoreau shares his insights about specific themes. Even though some people claim he cheated, Thoreau's ideas are definitely interesting, and his ultra-detailed and metaphor-laden writing make for a fascinating read. By reducing life to its basic fundamentals, Thoreau proved that it is possible to live a rich life by focussing on the true essentials. Note: Any Bon Iver album should provide exquisite mood music.